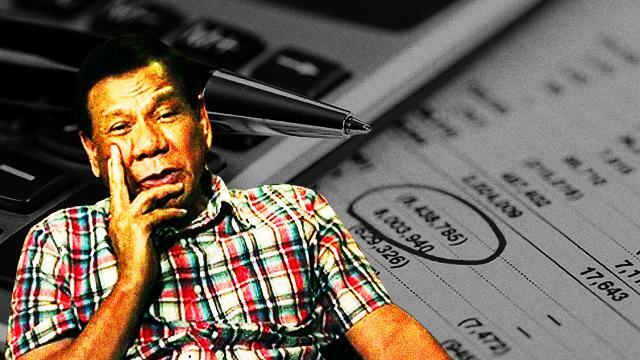 The Department of Finance (DOF) has submitted tax reform proposals to the camp of Presumptive President Rodrigo Duterte. In a statement, the DOF recommended multiple changes in the taxing system including the lowering of income taxes and the increase of Value-Added Tax (VAT), GMA News reported. “As we transition towards a new administration, we pass on the elements of this study for the new leadership to consider taking forward. We hope the various areas covered by our initial work sparks public discourse on financing our future,” the statement read. The DOF is specifically recommending to lower individual and corporate income tax from 32 to 25 percent. They said lowering the income tax will make our economy more competitive and is doable within five years. But to balance the effects and lost revenue from this move, they also proposed the expansion of VAT from 12 to 14 percent. Aside from this, exemptions for senior citizens and persons-with-disabilities and will be replaced with direct subsidies such as conditional cash transfers. Duterte, who has chosen former Cabinet Secretary Carlos Dominguez as the country’s next Finance chief, has yet to accept or reject the tax reform proposal.